STUTOMMIES.COM: We Have a Coach!! Tommies into battle in the upcoming 2013-2014 season. The former Tommies defenseman comes back to STU after coaching the last five seasons at the University of Western Ontario, four of which he was the assistant coach and one that he was the Interim Head Coach of the Mustangs. During his time with UWO, he helped coach the team to an OUA Championship as well as the CIS Championship Tournament, two years in a row and once to the University Cup final against the McGill Redmen. Prior to coaching at Western, Pat coached at the Junior B level in the Western Ontario Hockey Conference with the St. Thomas Starts and the London Nationals. Pat is very familiar with Fredericton after playing four seasons with the Tommies, graduating from STU with a Bachelor of Arts in '98 and then Bachelor of Education in '99. In the press release from St. Thomas, Athletic Director Mike Eagles mentions that Pat has a strong understanding of what it takes to be a student athlete and the demands of coaches at the CIS level. Last season Powers stepped up to the Head Coaching role at UWO to cover long time coach Clarke Singer while he was on a one year sabbatical from the team. During the season the Pat was coaching the team, the Western Mustangs went 21-5-2 record and lead the OUA in points with 44. Also in the STU press release Pat mentions "I look forward to working with the current roster, university personnel, the greater Fredericton community and especially the passionate and supportive alumni". 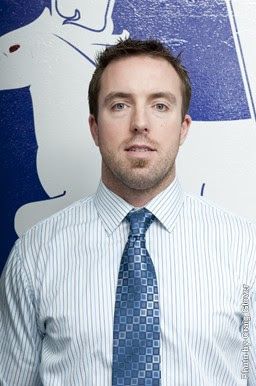 STUTommies.com would like to welcome Pat back to Fredericton and look forward to seeing him behind the bench at the Grant-Harvey Centre this fall. Congrats on the new position Pat! !